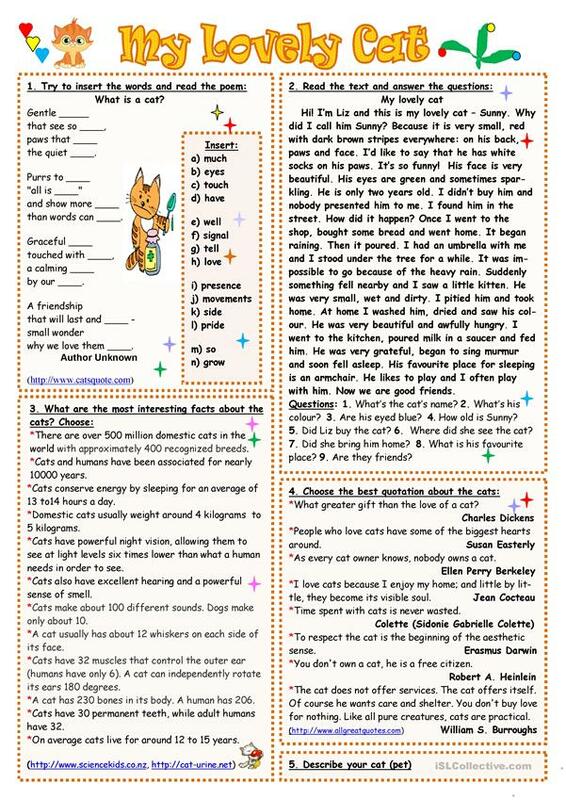 Five exercises on the topic: fill in missing words and read the poem, read the text and answer the questions, choose interesting facts about the cats, choose the best quotation, describe your pet. Key is included. Thank you!!! This printable, downloadable handout was created for high school students, elementary school students and adults at Elementary (A1), Pre-intermediate (A2), Intermediate (B1) and Upper-intermediate (B2) level. It is useful for strengthening your pupils' Speaking and Reading skills. 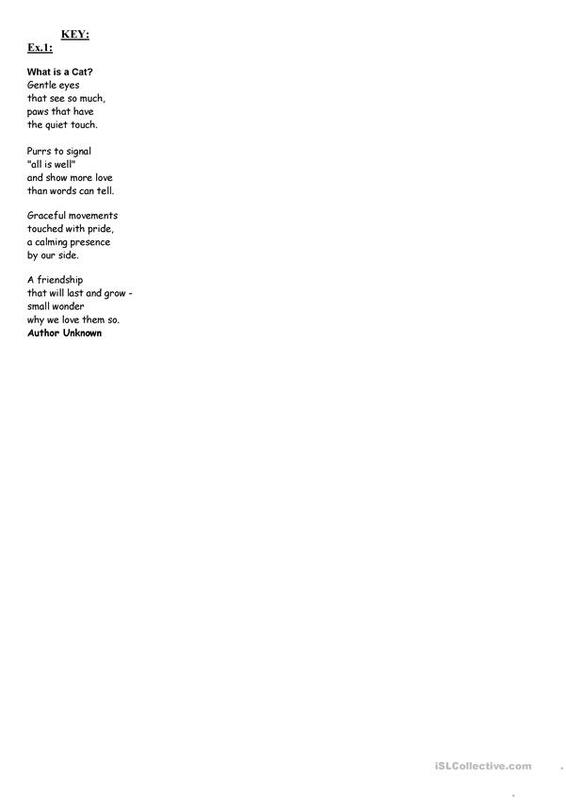 It focuses on the theme of Animals. The exercises come with the answer key.